View Your Documents Without The Help of Costly Equipment. Storing documents via microfiche involves printing several images of pages of text onto a single sheet of plastic. Like microfilm, projection equipment is required to view files stored on microfiche. This process can be costly if equipment needs to be replaced or repaired, not to mention time consuming given the limited access to these files. With today’s rapidly evolving technology, storing company files digitally is a faster, more secure and overall cost effective alternative to traditional microfiche filing. 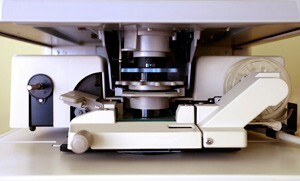 Our Ft. Lauderdale microfiche conversion services will help you stay on the edge of modern filing techniques. To learn more about how our microfiche conversion services can benefit your business, call us today at 954-271-0118 or fill out our online form to receive a free scanning quote.